Tiffany and Lupus: My Health Comes FIRST!
" How do you deal with people who say you fake illnesses?" Can you imagine my facial expression while stumbling over this question in my twitter mentions first thing this morning? There is nothing that irks me more than a chronically ill patient who is labeled an exaggerator/liar because one of their friends or family members doesn't understand the illness they are struggling to live with. 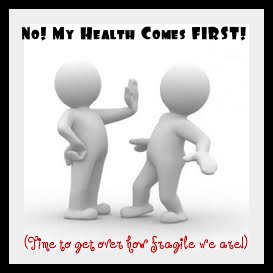 As baffled as those of us with a chronic illness may be...as a good friend of mine would say; "It's time to get over how fragile you are! "* And she couldn't be more right. It's time for each of us to lay down the facts and let the believers show themselves, and the non-believers show themselves OUT! I'm going to share 3 steps to dealing with a lupus diagnosis that have helped me tremendously! Step 1: Accepting the diagnosis. 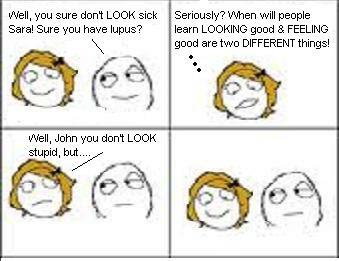 If we don't accept that we HAVE lupus how can we even begin to explain to someone else what it is. Acknowledging it is the first step towards healing. Having lupus is nothing to be ashamed of; it is not your fault that you have it. Did you know there are about 1.5 million people in the United States currently diagnosed with lupus! We are definitely NOT alone, and there has never been a better time to be diagnosed than now with all the remarkable discoveries happening with lupus research today. The important thing is to find and embrace other lupus patients and join in on the learning to strengthen your fight against the constant battle that is our health! Step 2: Research! Take some time to do your own lupus research. It's not enough to leave all of your questions and worries in the hands of your doctor. Be pro-active! Take initiative to become well informed on what lupus is and the latest discoveries happening in research are. This will help when friends or family ask questions, and also to keep you in the loop about what's in the future. Step3: Don't be discouraged! 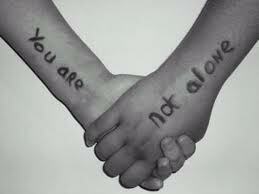 You are NOT alone with lupus. 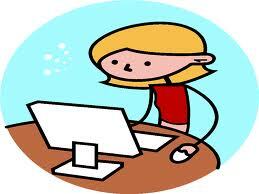 There is a whole community of lupus patients online that are here with open arms! I have found so many others just like me; one specific person, a lupus warrior who wrote The Spoon Theory. It's a perfect analogy of what it's like for a person living with lupus. After struggling for weeks, this was the tool that finally opened my mothers eyes to what I was struggling to live with each and every day! Another great article is A Letter to Normals. Always remember that your health is one of the most important things. Stress being the number one trigger for lupus should be strictly avoided at all costs. Don't be afraid to stand up for yourself and let others know that their behavior is negatively affecting you. If you don't voice your concerns then how will anyone know what they're doing is wrong? Don't be afraid to say NO! It's healthy, and its far better to respect your limitations than push past them and pay for it with pain later on. If a friend or family member deems you lazy or an exaggerated liar show them the facts. 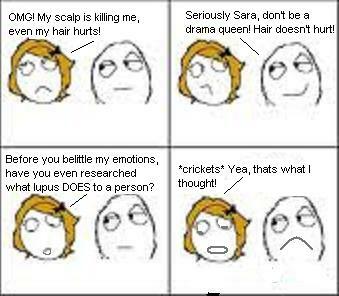 Tell them to Google or YouTube lupus. There are so many fountains of information available on the web, show them The Spoon Theory & A Letter to Normals. Once you've done that the rest is up to them. They can either accept the facts for what they are or remain ignorant in their denial of the truth. Someone who cares deeply would not hurl hurtful names at you. If you don't tell them, how will they know they're hurting you!? I personally had a devastating ordeal with who I like to call my biological sperm donor. He refused to accept my diagnosis, despite the fact that he was at my doctors appointments, spoke to my rheumatologist, and even picked up my medications for me. I even tried reading him the Spoon theory and he decided to interpret it differently. According to him; If I could type on the computer for an hour then why couldn't I write his business proposals. If I could set up a lupus awareness booth then why couldn't I work for a week at his catering company, and it went on and on. Nothing I did or said got through to him. I was becoming depressed at home, he made me so uncomfortable and my stress levels rocketed as a result. I became more ill, the dosage of my medicine was increased and my hair wouldn't stop falling out. I cried myself to sleep countless nights until the days blended into weeks and I couldn't even tell what month it was. How long was I going to allow myself to be a victim of someone who is supposed to care for me? That's when I decided enough was enough!I could no longer subject myself to such abuse. I packed a few bags, gathered all my medicine and went to a friend's house and I haven't looked back since. We have to stop thinking of these situations as losing friends and family and open our eyes to reality. Abusing our health can kill us. Yes, I said it...the dreaded mention of death. Why? Because its the truth and just because it hurts it doesn't mean it not true. Its time for each and every one of us to stand up, if you're immobilized or in to much pain to stand raise your voice, and be heard. Take a stand for your health because if you don't put yourself first then how can you expect anyone else to? When ever friends or family of mine tend to forget I remind them...and sometimes sprinkle a bit of sarcasm of top for good measure. Wipes the "know-it-all" smirk right off! Remember that if we don't take initiative in telling our friends and family how their comments affect us how will they know they are hurting us? If they give you sassy remarks, toss them right back and load each response with knowledge. They aren't doctors so who are they to tell you your pain isn't real. Let them look up the side effects of some of your medications; I've had friends turn various shades of green just researching on prednisone! Try leaving post-its in various places; like "you never know how hard one's path is until you walk a mile in their shoes" and " My illness may seem invisible to you but I feel it every day of my life". If you want to get snarky, go right ahead! I've even written posts that raise eyebrows like, "If you had lupus for a week, you wouldn't make it past a day!" and "Take prednisone for a month and tell me how you like those side-effects"! Be pro-active in educating others on your health battle, especially friends and family. If they still refuse to understand then it's time to make a decision. If someone doesn't have respect for your illness what does that say about their character and how they feel about you? Leave the drama and stress behind you and make the effort to start the new year living for YOU! Your health depends on it. Always remember you are NOT alone in this journey no matter where you live. I'm always just a click away! Never hesitate to reach out! There are over 1.5 million Americans living with lupus, if someone in your circle won't love you...you have a lupus family that WILL. Stay strong lovies, NOTHING is going to stop us from living life to the fullest! I completely agree. I was diagnosed with RA in 2003 and then diagnosed with Lupus in 2008. With the help of boards like But You Don't Look Sick, I found the courage to let go of family members and "friends" who just didn't get it. It does get easier when you do that and you make new friends. 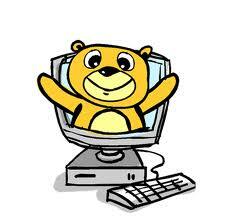 The people on-line can be better friends to you than those IRL. The only person I wish I could get out of my life is my mother who still doesn't get it. But she is my son's grandmother and so for his sake I maintain this often stressful relationship. @Emily Maybe have a sit down with her. Let her know she has a choice to make. Seeing her grandson or being alone. Let her know her behavior is hurting you physically as well as mentally.